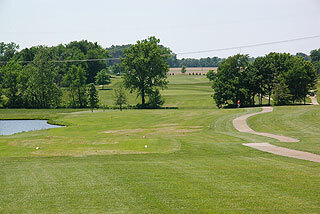 Country Oaks is located in Montgomery, IN. over an hours drive south of Indianapolis, and west of Louisville, KY. 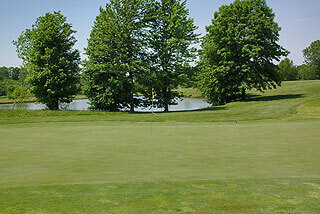 This is a player friendly, value oriented golf course recommended for golfers of all skill levels. Five sets of tee boxes play to distances and slopes measuring 6929 yards/129 slope, 6585 yards/125 slope, 6076 yards/120 slope, 5338 yards/110 slope, and from the front tees 4983 yards with a slope of 113 for woman. As these ratings indicate, this is a player friendly course that is great for beginners. Sand bunkers are nearly non existent throughout all of Country Oaks, however, avid golfers will find water hazards often enough in this layout to provide a challenge. 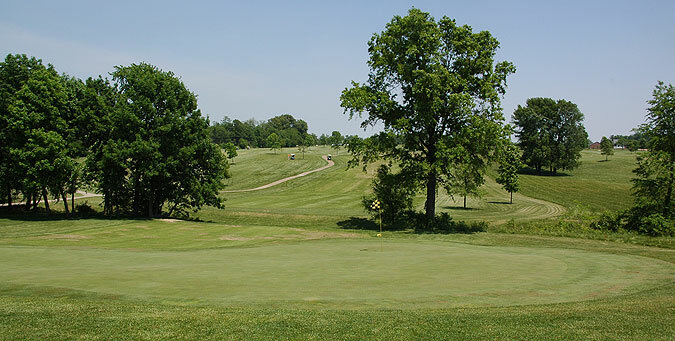 The course is well marked with 100, 150 and 200 yard markers provided on the fairways and cart paths on all par fours and fives. Small flags situated at the top middle and bottom of the flag sticks indicate back, middle and front pin locations. 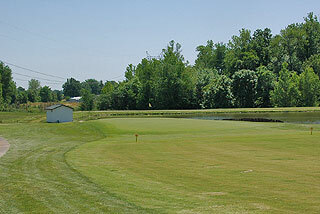 On property is a practice facility including a grass/mat driving range, and a large putting green. 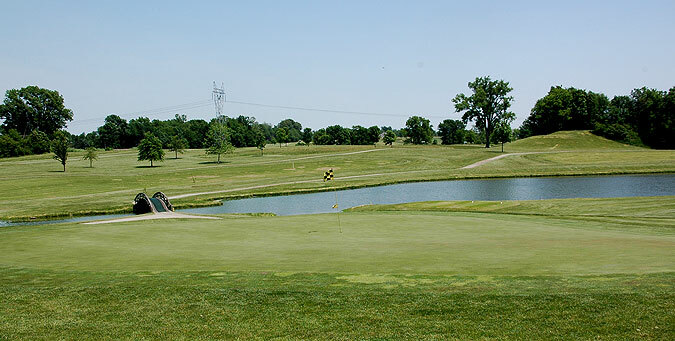 The clubhouse features a pro shop, snack bar open for lunch serving hotdogs and sandwiches, and a banquet area which holds approximately 100 people. 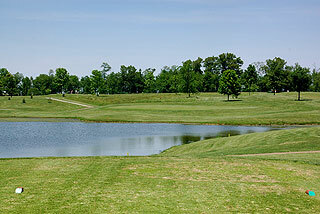 On course there are only 3 sand traps, but water comes into play on 8 holes. 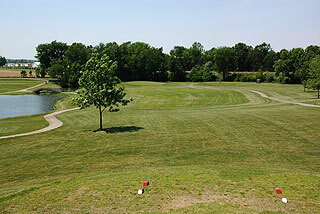 This course starts off long with a par five and finishes with a short par four. The front nine is basic with flat landing areas and putting surfaces and some water hazards which provide most of the challenge. 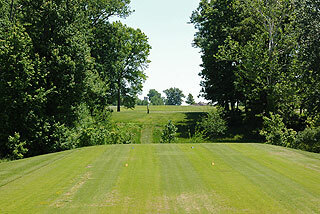 Some teed boxes are surrounded by trees making tee shots seem narrow. 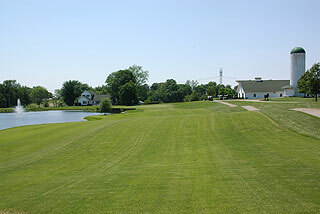 Then fairways open up in the landing zones. 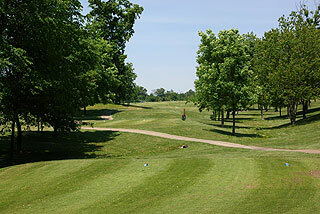 The back nine is more difficult with more elevation changes and mounding. The 18th hole is a beautiful par four which is short, yet challenging with water along the left side of the fairway all the way to the hole. For more info, visit our detailed listing page for the course with a direct link to their website by clicking here.